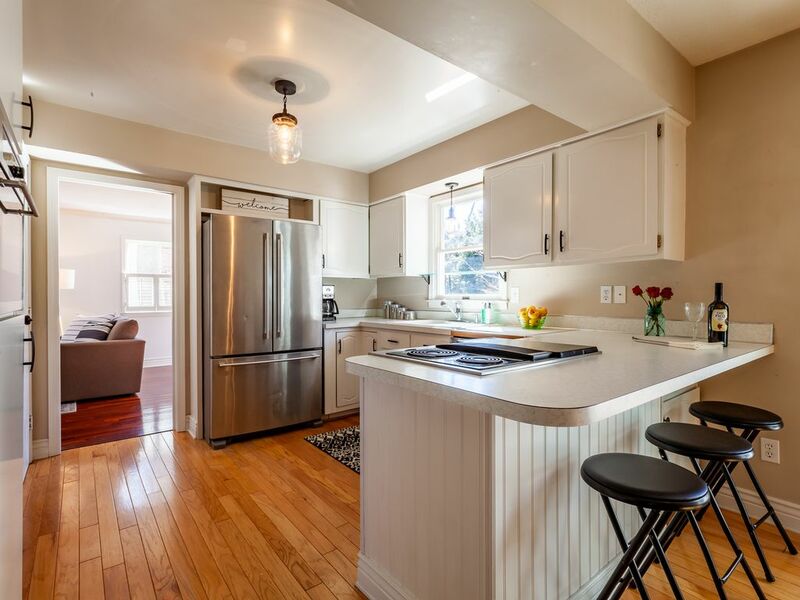 This beautiful 2 story home was extensively remodeled in 2019! It's located in a quiet city neighborhood with lake access to White Lake (10 minute walk from the house). There is plenty of room to spread out with a full kitchen, eating area + dining room, family room, living room and full bath downstairs. Upstairs you will find 4 bedrooms (accommodates 8) and a full bathroom. Beautiful deck off the back of the home with lots of shade trees. The neighborhood association has a nice dock on White Lake for you to use during your stay. Brand new towels in 2019!